AvaTrade and eToro have very different approaches to the Forex and CFD markets. Investors with some experience in the market will likely find AvaTrade’s platforms, products, and pricing very familiar and competitive with its rivals. There are a few weak points, but if you are looking for a traditional dealer with strong research and technology tools, AvaTrade deserves a look. eToro was launched a year before the 2008 financial crisis when the market was saturated with spot Forex dealers. 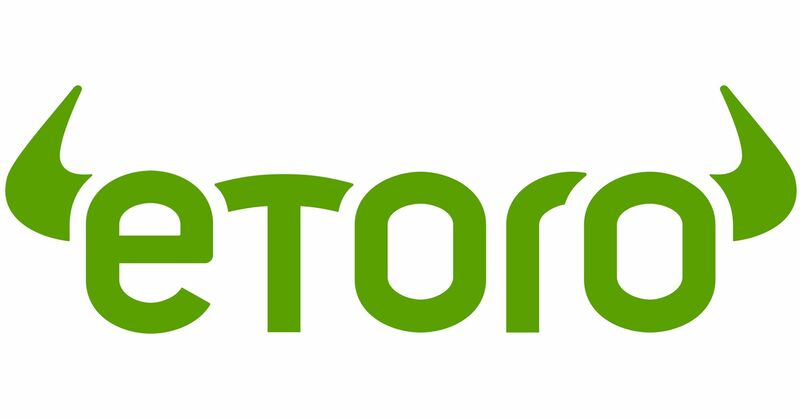 To stand out, eToro has always had a unique approach to its trading platform and products. For example, social trading has become a core focus for eToro, which could be interesting to many traders, but many other traditional dealer functions are weak. Users of these two platforms will find well-designed, easy-to-use interface. Each offers a wide range of information presented in a clean and clear design. The same is true for their mobile platforms, which have an intuitive look and feel, along with full functionality. Each site is available in a variety of languages, including English, Chinese, Arabic, and most major European languages. Overall, the user experience for both AvaTrade and eToro are very similar and meet expectations. The result is a tie. AvaTradeGO, released in November 2017, now offers an Android and iOS alternative to the plain vanilla Metatrader 4 Mobile. The rebranded and updated MT4-based app includes enhanced social trading capacity but a limited feature set that’s generated dozens of complaints on Google Play. The app is also geared toward newer and less skilled traders, providing “step-by-step guidance on opening trades” and a feedback system that experienced traders aren’t likely to use. eToro mobile versions for iOS and Android allow easy synching between platforms, with well organized menus but fewer charting features and limited customization. The indicator menu has been reduced to five basic types while the order entry system matches the web version. The watch list doesn't include client positioning data, as the web version does, marking an odd omission given eToro’s business focus. Users can set custom price alerts while also receiving push notifications about market events and account issues. AvaTrade offers an economic calendar and limited research through sharptrader.com. A brief (2-4 minutes) daily Trader’s TV video (via YouTube) comprises the core of research materials, with the script then transcribed as a Daily Market Review. AutoChartist intra-day updates a list of short-term technical signals while a fundamental analysis section included a few links to daily reports but just four other stale, dated articles. A more current feature article section lists six broad brush reports on topics that included tariffs, Brexit, and bitcoin. Meanwhile, eToro research is bare­ bones and quite disorganized, accessible through a blog that included quite a few stale and general articles. For example, the last entry in the “Latest News” link was posted more three months prior to the review. The blog uses a tag and topic display with no search function, forcing the user to scroll endlessly through old posts. A Research button in the mobile app produced a message indicating that analyst research is only available in funded accounts. A few blog topics like cryptocurrencies were covered in greater detail than forex or market analysis, highlighting 2017 crypto­mania more than current events, while few articles covered instrument­-specific fundamental or technical analyses. AvaTrade's materials were segmented into five major sub-topics, allowing clients to find answers quickly and efficiently. A buggie search function detracted from the learning experience, with many articles and topics seemingly missing. To top it off, the main broker site includes an education sub-menu and a variety of useful materials not integrated into the dedicated site. On eToro, you won't learn how to become a star trader from the educational resources; there is a set of information videos on markets and investing basics, but these are fairly low quality and offer superficial information. eToro does offer a series of live webinars to get deeper insight into trading strategies and to learn to use their platform, as well as some online courses for intermediate and advanced strategies. Security features include phone­-based two-­factor authentication and standard SSL encryption. AvaTrade’s fees for Forex and CFD investing weren’t out of line compared to the rest of the industry. For example, the dealing spread on the EUR/USD was 1.5 pips and investors pay a $.03 spread on oil CFDs during normal market conditions. AvaTrade only sticks with the dealing spread approach to pricing, which keeps the cost structure simple and easy to understand. On eToro, minimum forex, commodity and index spreads are high, with EUR/USD at 3.0 pips and SP­500 at 75.00 pips. The fine print also notes that spreads can widen significantly as market conditions change. Overnight and weekend holding costs are above average as well, and can greatly reduce profitability. Share spreads are locked at a competitive 0.09% spread per side but weekday overnight holds currently cost 24­ cents per $1,000 of leveraged long exposure. This fee triples over weekends but no overnight fee is charged for non­leverage long exposure. The broker charges a $25 fee in addition to possible bank or credit card charges for withdrawals, one of the highest among European brokers. No withdrawals smaller than $50 are permitted. Withdrawal and other fees are fully disclosed on an easy ­to ­read fee page that contains few omissions. Inactivity fees will digest remaining account balances quickly, charging $10 per month after 12 months of no trading activity.